The Glenn Hopkins has been providing care to our seniors for over twenty-five years. Throughout the years we have seen many changes, but our vision has remained steadfast. 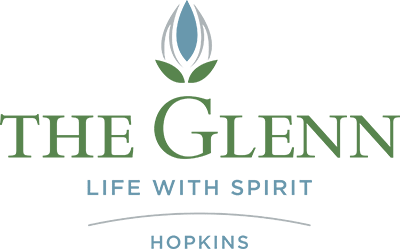 Our commitment to providing quality care and service at The Glenn Hopkins has not wavered since establishing that initial mission twenty years ago. Our objective at The Glenn Hopkins is to provide quality of life to our seniors each and every day. As we continue to change and grow, we ask that you consider a gift to The Glenn Hopkins, a gift that will not only benefit this generation of seniors, but several generations to come. Planned Gifts: These gifts come to The Glenn Hopkins through donor’s wills, gift annuities, life insurance policies, stocks and gifts through other sources. Please consider a gift as part of your estate planning. Matching Gifts: Perhaps your employer has a program that will match employee donations of cash or securities to worthy organizations. Time and Talent: We have many opportunities for volunteers in both the independent and assisted living buildings – we welcome your special gifts and your time. In-Kind-Gifts: The Glenn Hopkins maintains a list of specific items that are needed for both The Towers and The Terraces – furnishings, equipment and/or embellishments that would enhance the surroundings of our campus. Commemorative Gifts: A gift in honor or celebration of a special occasion or a special person, or to memorialize a friend or loved one. To learn more about ways you could make a difference by giving please contact us, we look forward to speaking with you!